Preheat oven to 200°C (400°F). Place the potatoes and garlic in a large saucepan of salted water over high heat, cover and bring to the boil. Reduce the heat to medium and cook for 8–10 minutes or until just tender. Drain well and return to the saucepan. Cover and shake the pan to fluff the edges of the potatoes. 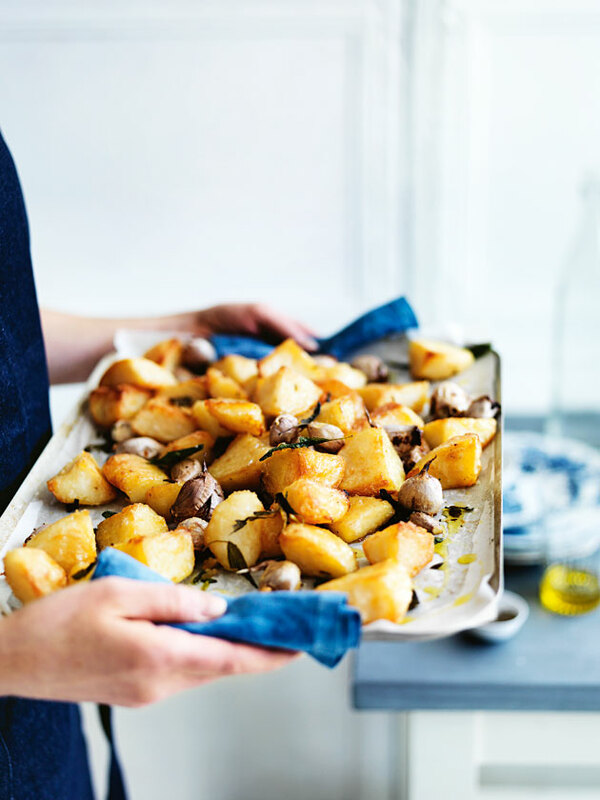 Place the potatoes, garlic, sage, oil, salt and pepper on a large baking tray lined with non-stick baking paper and toss to combine. Roast for 50–60 minutes, turning every 20 minutes, or until the potatoes are golden and crunchy. Serves 6–8.